There are 27 reviews of Black Tourmaline. Mainly a spicy experience, Black Tourmaline by Olivier Durbano is pepper-dominant to my nose, with incense, leather, oud, and patchouli all contributing somewhat to its intensity, though I admit I cannot really pick these out individually, perhaps a testament to how well-blended it is. Incense (olibanum) is really the only other main element that stands out apart from the pepper. So it's very simple--incense and pepper--if those are elements you like a lot. I generally enjoy black pepper but I don't feel it's especially well-used in this perfume. Decently strong for an EDP at its opening but not overwhelming in the way of projection, at pricing of $205 for 100ml on Luckyscent this is potentially bottle-worthy for someone who loves it more but for me it's mainly a "like" not a "love." Still, a solid cold weather option I might opt for if it were priced a little lower or had something extra. This is a nice, dry, dark olibanum scent. I highly recommend it to anyone who enjoys spending $200 on a scent that lasts about 15 minutes. Smells like an ashtray at first. Later on, I kept getting reminded of Polo Green as others have mentioned. A green-accented bitter frankincense that is the ancestor of Memoir Man. However, it lacks the latter’s radiance and thrilling immediacy, and after the first bewitching fanfare tends to get quite subdued. Likely a radical creation at the time, but now appears part of the niche scenery where the smoky gothic vibe as shorthand for mystery has got well-established. For me, it could have done with a bit more aggression and a bit less sugar in the deep drydown. A dark and mysterious fragrance that smells exotic for sure but don't get too excited by all these nice reviews! they are just hyping this fragrance! believe me! The opening is a dark resinous smoky scent with some sweetness in the background. There is frankincense at the beginning mixed with lots of resins that they feel kind of oily plus sharp and bitter smoky leather note and some sweetness to tune down these brutal notes a little bit. all these notes meshed together in a smooth way. it's not in your face and so loud. In the mid that oily feeling of the resins faded away and the smoky leather scent replaced by sharp woody smell plus some earthy patchouli. It's a dry bitter woody scent with some earthy feeling and slight amount of sweetness way in the background. The base smell very close to the mid as far as the smell but the patchouli gets a little stronger and more earthy. There is a spicy peppery note from the beginning to the end that smell like black pepper in the opening and mid and kind of like cardamom in the base. Projection is above average and longevity is around 5-6 hours on my skin. It's a really good fragrance but scents like this could easily get boring and also it's not something extraordinary and unique. it's like mixture of a few fragrances that I've smelled before. Notes (from LuckyScent.com): cardamom, coriander, cumin, frankincense, pepper, smoked wood, oudh, leather, precious woods, musk, amber, moss, patchouli. Olivier Durbano Black Tourmaline EDP VINTAGE WET CAMPFIRE 2 ml PERFUME SAMPLE!!! 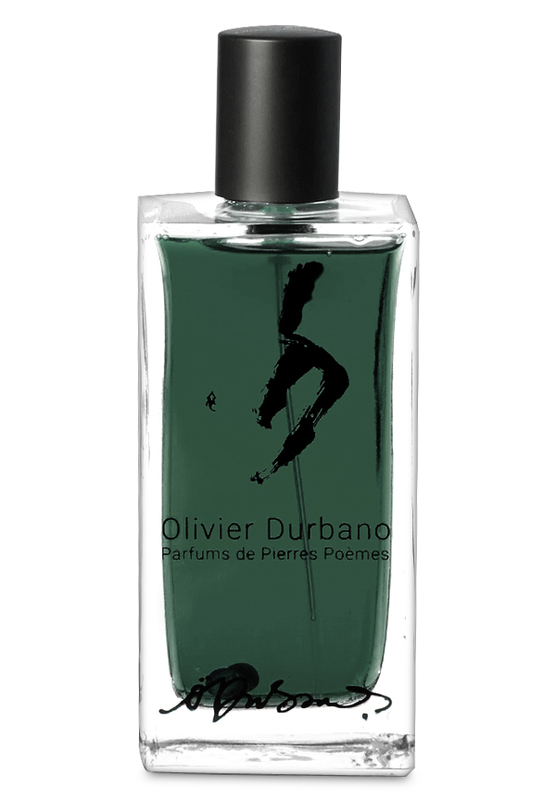 Olivier Durbano's Black Tourmaline EDP Love?